Your kids will just love this extra-wide inflatable See-Saw Rocker. Made of heavy gauge vinyl, the rocker has built-in handles that double the fun. Easily supports 2 kids with a maximum capacity of 300 lbs. Extra-wide design provides comfortable seats for 2 users and prevents accidental sideways tipping. 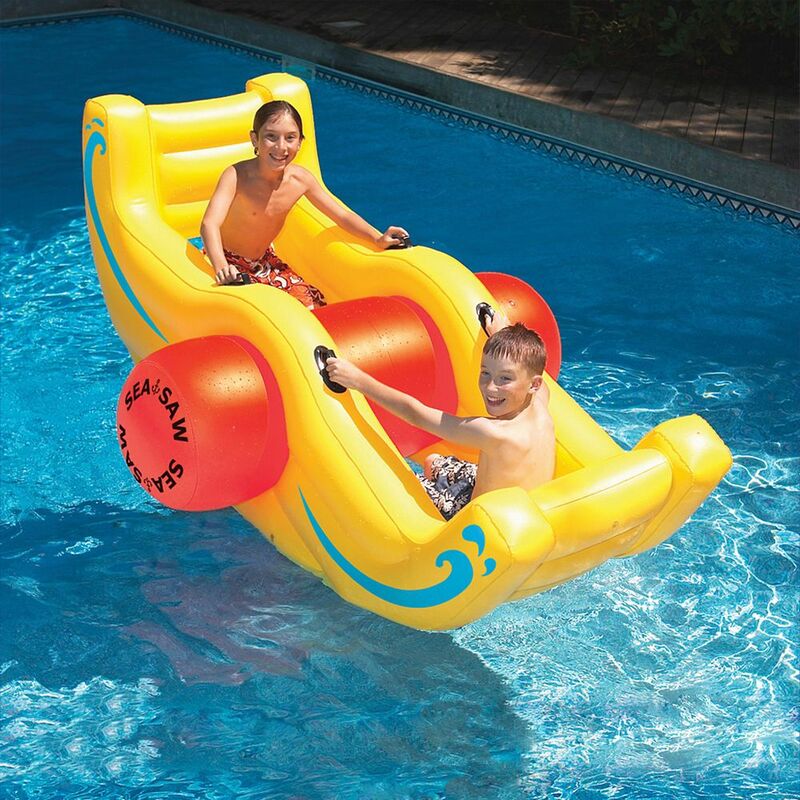 Sea-Saw Rocker Inflatable Pool Toy Your kids will just love this extra-wide inflatable See-Saw Rocker. Made of heavy gauge vinyl, the rocker has built-in handles that double the fun.